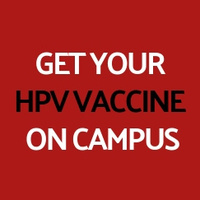 Campus Health Services is offering the first of three HPV vaccination clinics. Bring your ID and medical insurance card. HPV is the most common sexually transmitted illness in the U.S. The HPV vaccine is safe and effective and can protect against diseases such as genital warts and cervical cancer.